Join the NWS, Missouri State Emergency Management Agency and Illinois Emergency Management during Severe Weather Awareness Week March 3-9, 2019 to promote severe weather safety. Residents should treat the drill as if it were an actual tornado warning. The purpose of the drill is to test everyone's readiness for life-threatening severe weather events such as tornadoes, flash floods, and damaging winds. Local officials are encouraged sound warning sirens to initiate the drill. Missouri's tornado drill will be issued as a true test tornado warning (TOR). Illinois' drill will be sent as the more typical Routine Weekly Test (RWT). More information on the differences between the two can be found here. Join Us In Becoming a Weather Ready Nation! The Weather Ready Nation initiative is about building community resilience in the face of increasing vulnerability from extreme weather events. Recent tornadoes, floods, drought, etc. demonstrate the need to be prepared. Are you weather ready? Here are resources to help you be prepared before disaster strikes. Deadly and devastating tornadoes have demonstrated their power in Missouri and Illinois. 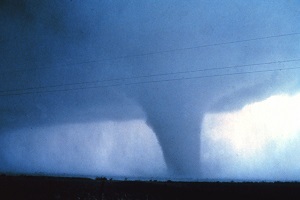 Now is the time to develop a tornado safety plan before a tornado strikes. Knowing what to do before a tornado occurs is essential to protect lives. Missouri recorded 47 tornadoes in 2018. For additional information on Illinois tornadoes, please visit the Midwest Regional Climate Center. 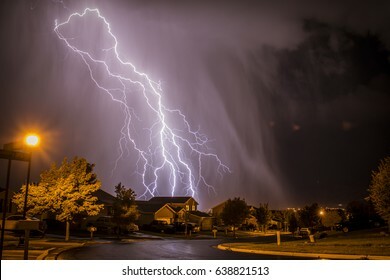 Severe thunderstorms produce a variety of weather hazards including tornadoes, large hail, damaging straight line winds, flooding, and lightning. Now is the time to review Severe Weather Safety Information. 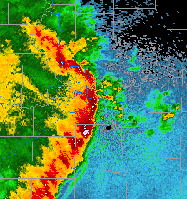 Severe thunderstorms producing damaging winds in excess of 58 mph and large hail can be a threat to life and property. Damaging straight line winds are much more common than tornadoes and can be just as deadly. Those caught outdoors during a severe thunderstorm are particularly vulnerable. Boaters and campers should be especially alert to the potential of severe storms. High winds associated with severe thunderstorms can strike suddenly. Winds in excess of 60 mph can easily capsize boats and put campers at risk due to falling trees. Typically, flooding results in more weather related fatalities than any other thunderstorm related hazard. Why? Because many of the deaths occur in automobiles when driven through flooded roads as they are swept downstream. Of these drownings, many are preventable, but too many people continue to drive across a flooded road. For more information, go to the Flood Safety page. At any given moment, there are 1,800 thunderstorms in progress somewhere on Earth. This amounts to 16 million storms a year! In the United States, there are an estimated 25 million cloud-to-ground lightning flashes each year. While lightning can be fascinating to watch, it is also extremely dangerous. Tragedies in school-sponsored athletics are unfortunately a growing trend as well. When thunderstorms threaten, coaches and officials must not let the desire to start or finish an athletic activity or event cloud their judgment when the safety of participants and spectators is in jeopardy. For more lightning facts and safety information, go to the NWS Lightning Awareness page.